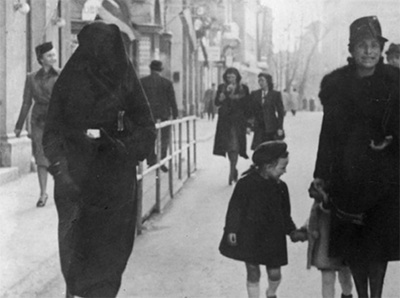 In the 1950s there were about 1 million Jews living in Arab and Muslim states in the Middle East. Today, there are less than 10,000. Historians love to argue about why Jews of the Arab world left in the 1960s. Some say that Jews fled the Arab world out of Zionist convictions and were not persecuted, while others claim they were persecuted. Here are my two and a half cents on the issue, six reasons why they left. In the 1950s and 1960s, military conscription became mandatory in most Arab states, from Morocco to Tunisia to Libya, Egypt to the rest of the Arab world. Jews being citizens of Arab countries, they often had to serve mandatory military service. Now the problem is between 1956 and the Suez Canal war and 1967 and the six-day war, Arab states were sending troops to fight the Israelis. No Jew in his right mind would join an Arab army to fight the Israelis. No Jewish parents in their right mind would send their children to fight the Israelis. The question of military conscription in Arab states is one that led many Jews to flee the Arab world and settle in Israel. When most European states and Israel had roads, cars, industrialized products, electricity, water, gas, leisure activities, fun television programs, fun radio programs, places to hang out with friends, Arab states had little or none of that. Roads were still a mess in the Middle East in the 1960s, electricity shortages were frequent, and so were water and gas shortages. Television was sometimes boring, radio programs were boring, and there were few places people could hang out with friends. So for many Jews moving from the Arab world to Israel was like moving from the Flintstones to modernity. In the 1950s and 1960s, several Arab states adopted socialism and confiscated to private businesses of several individuals. You could no longer own real estate, private businesses had to close, be bought by the government, or had to comply with strict government rules. That's how many Jews, and many Arabs, lost their businesses. Arab states were notorious for high crime rates in the 1950s and 1960s. While historians like to debate whether crimes against Jews were anti-Semitic or just Jews being at the wrong place and the wrong time, several Jews had repeated burglaries in their houses, their cars got stolen repeatedly, they could no longer put money in their pockets because there were pickpockets everywhere, there were a few kidnappings, vandalism of houses, cars or stores was common and people stole anything they could steal. Shopping bags were stolen, shoes were stolen, anything that could be stolen was stolen. Businesses were pillaged and the police was not competent in dealing with rising crime. In the 1950s and 1960s Arab leaders did not have soft or diplomatic words regarding Israel. They blamed everything on Israel, from local crime to their recessions, and often promised that they would fight Israel to victory. Historians argue that Arab leaders did not specifically mention Jews in their speeches, but there were fears that Jews in the Arab world would be used as tokens in the Arab-Israeli wars. Finally, there were a few anti-Semitic acts. Anti-Semitic acts including refusing paperwork to Jews, taxis refusing to drive Jews to the Jewish districts, Arabs not allowing their children to play with Jewish children, Jewish workers not being allowed to attend meetings at work, all kinds of sabotage acts against Jewish-owned businesses, and Jews losing their homes officially because they did not notarize their property properly. In sum, there was an atmosphere of terror against Jews in the Middle East. Some did stay, mostly people who were too old to serve in the army but whose children were toddlers and would wait a dozen years before they serve the army. Or Jews who had some kind of foreign citizenship. Or Jews who were in vital industries and who Arab governments encouraged staying. Or Jews who assimilated to the Arab country and loved their king or leader. Those were a very tiny minority.